Capturing the spirit of a great party onto film is one of life’s great conundrums. How do you translate the essence of a great night from party to print in a way that involves everyone? Parties don’t usually come with a photographer which leaves you to rely on people uploading their pictures to social media which has sadly made the photo album something of a dying art. Whatever the occasion for your next party – this doesn’t have to be the case. Photographs are so popular because memory is so notoriously unreliable. You can make sure you never miss a thing at your next party with one of our fully manned photo booths. When you are the host of a party you can’t be everywhere at once so it’s easy for you to miss something amazing. 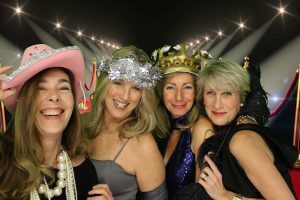 The beauty of a photo booth is that you can let it be your eyes and ears while you are busy looking after your guests. 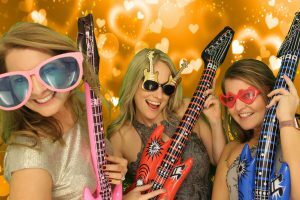 You can easily catch up on any of the party shenanigans you weren’t around for with the photo booth guestbook which we can compile for you as the photo booth fun unfolds. Hiring a photo booth is a great way to get a picture of all your guests. It doesn’t feel as forced as posed photographs and so people will be more inclined to give it a go. Making photographs fun is the best way to get everyone involved in the celebratory snaps. The photo booth pictures print out instantly so you can easily create a photo album to look back on to remember a truly great party. A photo booth appeals to all ages and fits in to any occasion, making it the perfect crowd-pleaser every time. 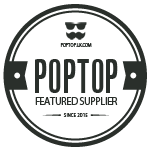 Keeping your guests entertained while you get on with hosting is no easy feat. Take some of the weight off your shoulders and hire a photo booth for your guests to play around with while you make yourself busy. You can let them choose what props to wear and whether to leave the host a video message depending on the occasion. There are numerous backgrounds to choose from as well which keeps the fun going all night long. There are so many things to worry about when you are throwing a party. Will all your guests enjoy themselves? Will they like the food? Every host worries that their party won’t be a success but with one of our photo booths your celebration is sure to go down with a bang. Make it an event to remember that your guests will be raving about for years to come, with the photographic evidence to back it up too! Please let us know if you require something different. We are sure to accommodate you!